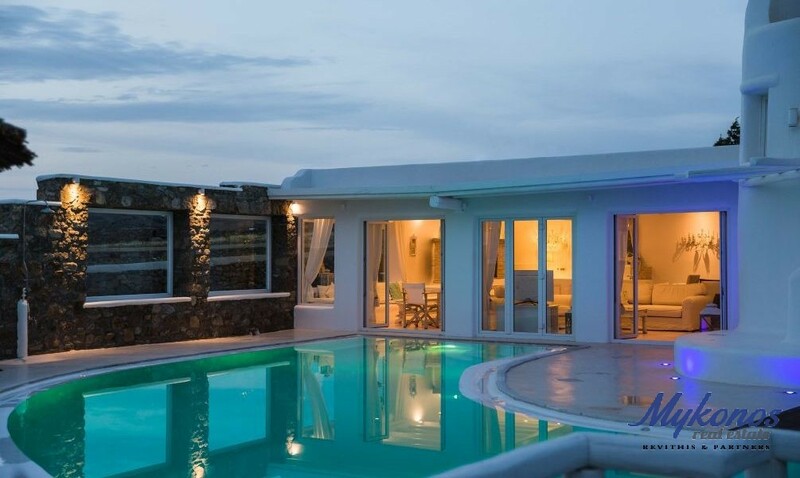 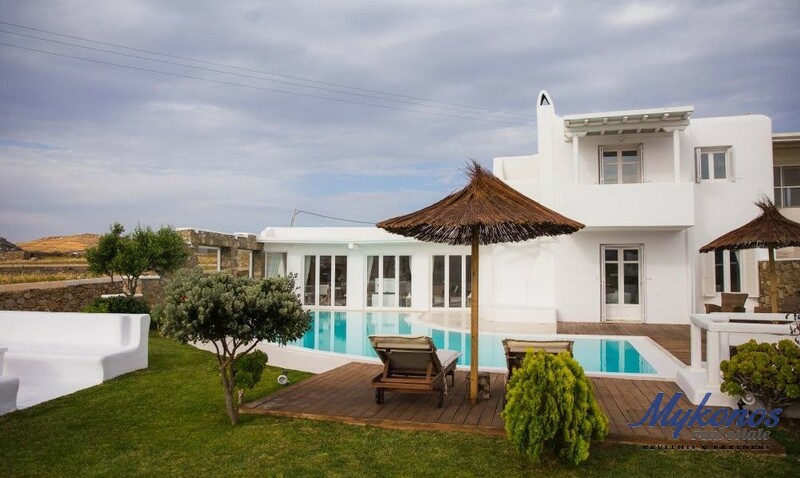 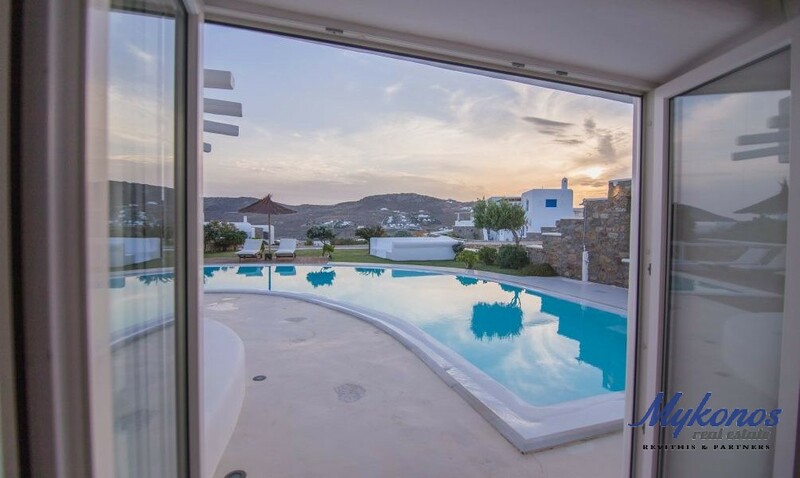 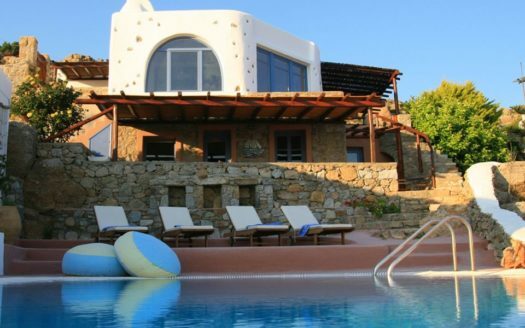 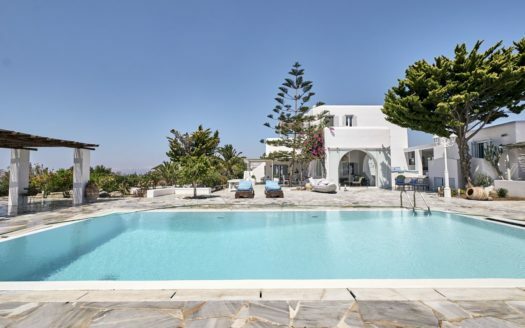 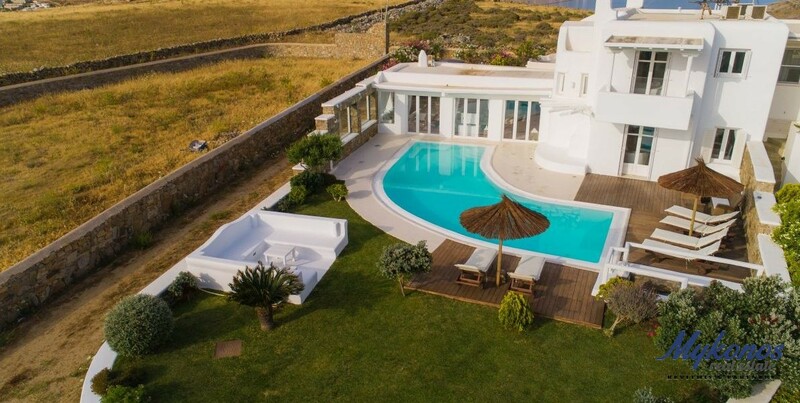 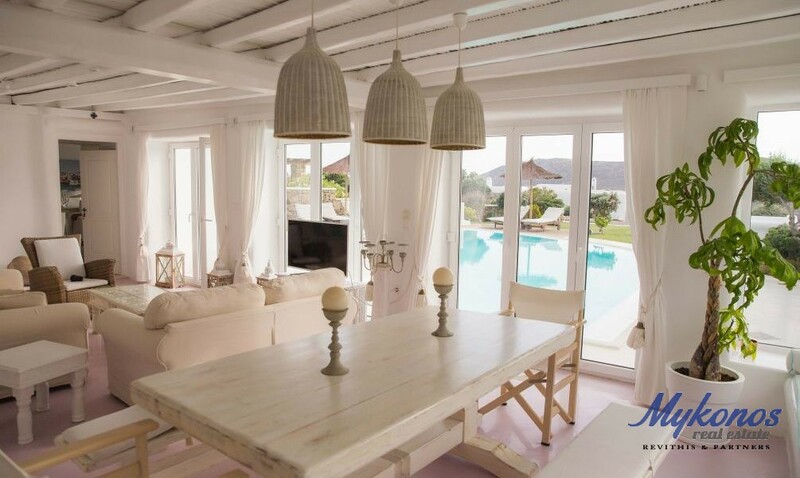 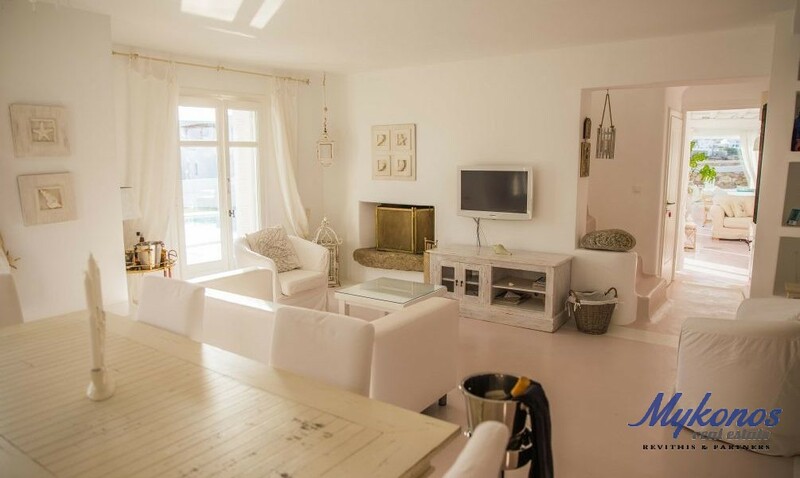 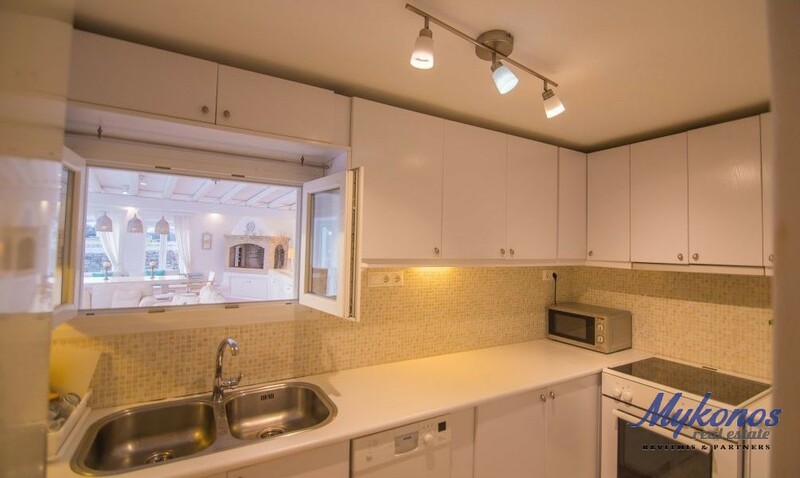 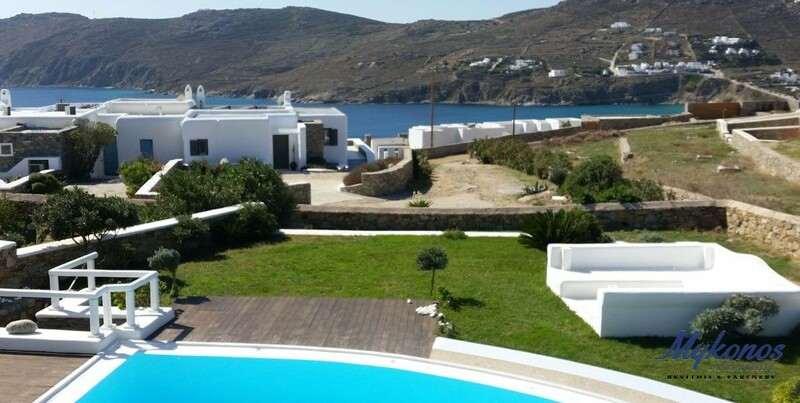 Excellent 180m2 single residence available for rent in Kalo Livadi of Mykonos. 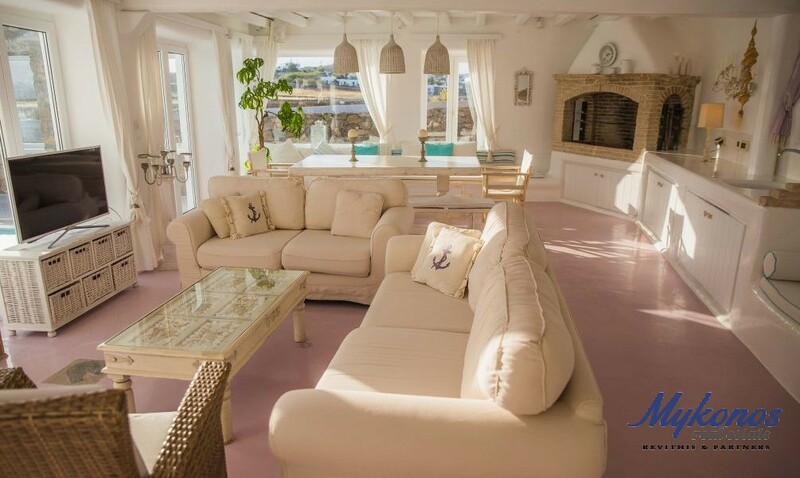 Raised on two levels, the house includes four bedrooms and three bathroom, thus satisfying the stay of up to eight people. 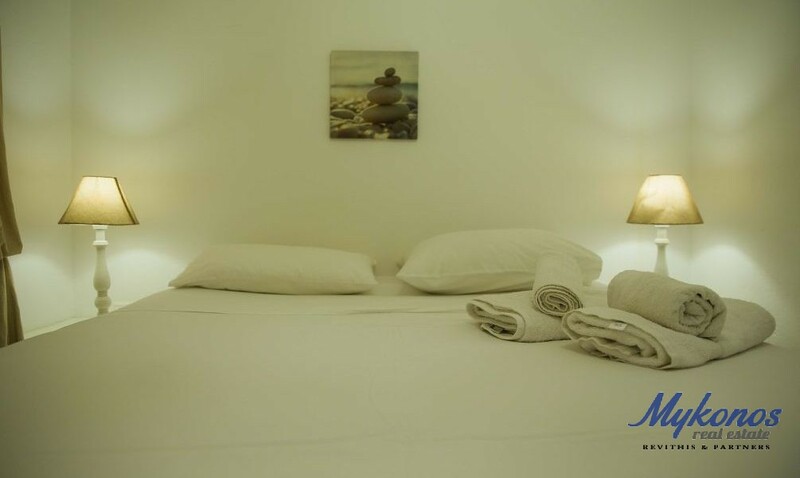 Extra amenities include A/C, CD, DVD, TV, guest room, parking space, barbecue and a kitchen equipped with appliances such as a microwave, coffee maker, toaster and grill. 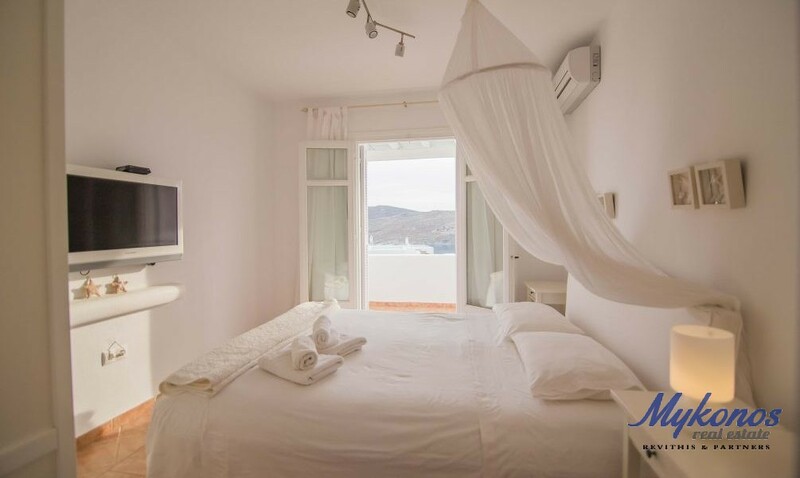 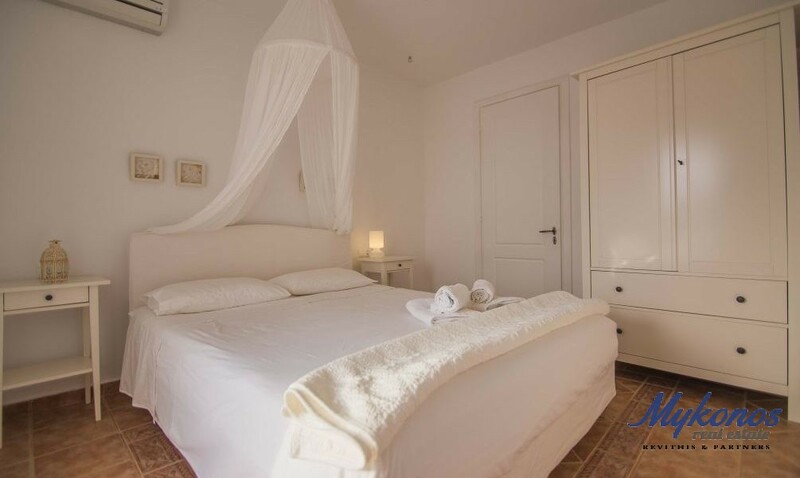 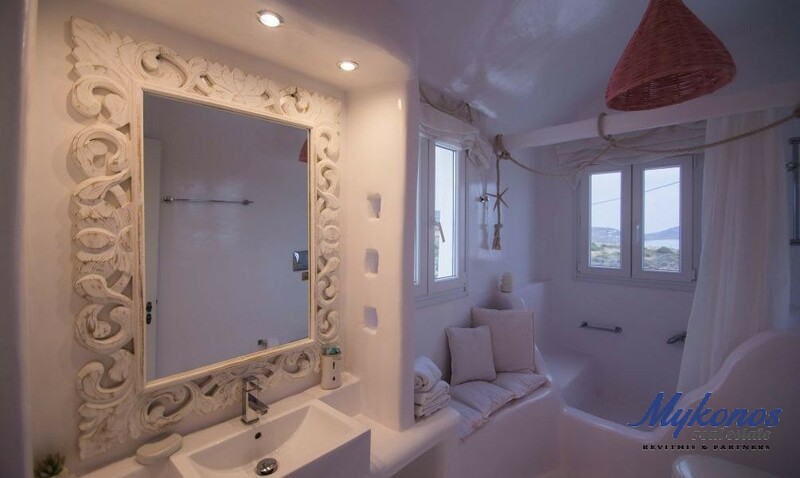 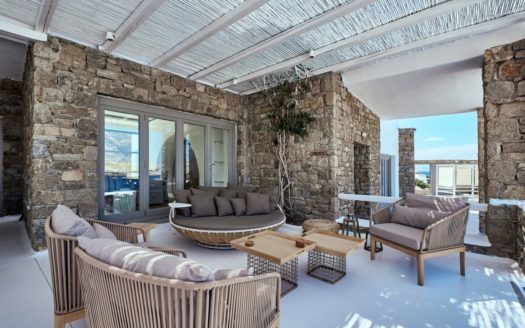 The interior design follows in classic Cycladic style white the use of white color. 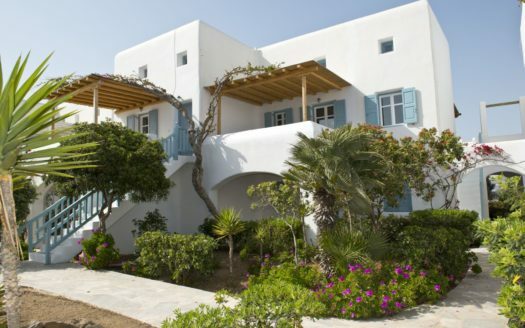 Amazingly formed is the exterior as well, featuring a large private pool surrounded with wooden lounge chairs, a wooden pergola for shade as well as glass windows which protected from the wind and a fully flourished garden with beautiful colors and exotic scents, from where you can relax and enjoy a view of the Aegean Sea. 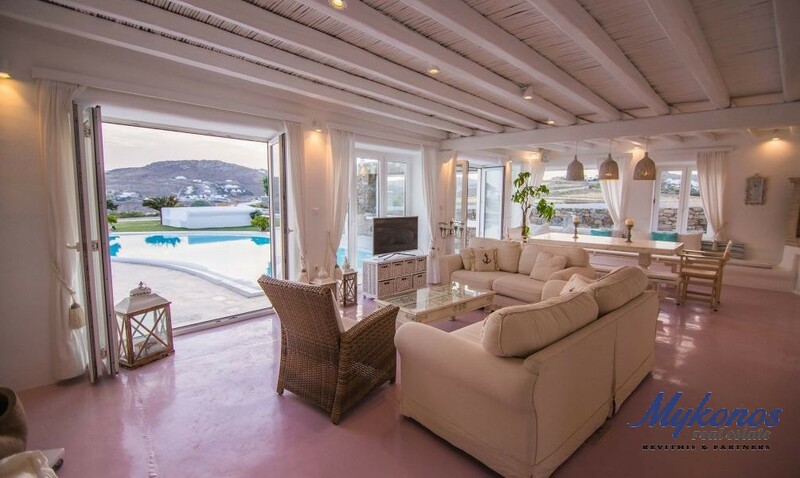 With easy access to the beaches of Kalo Livadi, Lia and Kalafatis and at a short distance from the Ano Mera marketplace, the residence is an ideal choice for your summer vacation in the cosmopolitan island.